My blog may have been AWOL recently, but the homeschooled kid bloggers have been busy! What fun! Go visit several of the students’ posts, and be sure to leave them some encouraging comments. If you would like to submit a blog article to the next edition of the Homeschooled Kids Blog Carnival, you can use the carnival submission form on the kids blog carnival page. You can also find all the back-issues of the carnival there, for your browsing pleasure. The 23rd Homeschooled Kids Blog Carnival is now posted, with a nice variety of things to read. Fiction and non-fiction, places to visit and movie/book reviews, lego projects and horse quotations, and even some math, and more. Go visit all the homeschool bloggers, and be sure to leave some comments. Every blogger loves to hear from readers! Okay, this notice is late, as the carnival was published nearly a month ago — but it’s still well worth visiting: twenty-two homeschooled student bloggers in the twenty-second carnival. Wow! The kids are writing about a wide variety of interesting things, so go check them out. The latest Homeschooled Kids Blog Carnival is up and ready for browsing. Enjoy! Read the whole carnival at Home Education Resources! 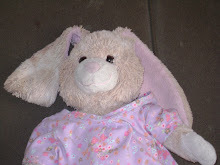 Check out the latest Homeschooled Kids Blog Carnival over at Alice’s Bunny Blog. Be sure to leave comments to encourage the participating bloggers. Homeschool Kids Carnival — with Sidebar Buttons! Amber did an excellent job at putting it all together! Go visit her blog and read all about the fun things your fellow homeschool bloggers are writing.